James Bond Island big boat. 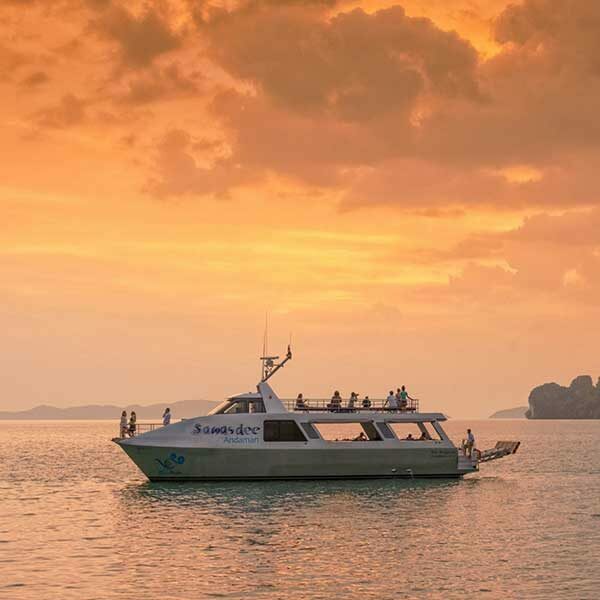 If you are looking for a more leisurely boat tour to James Bond island and around Phang Nga Bay, here is one for you. This is a big cruiser style boat with 2 decks (2 floors) upper and lower, and compared to a speed boat, a lot slower of course but also a lot more spacious and room to move around on the boat and change position if you wish to. 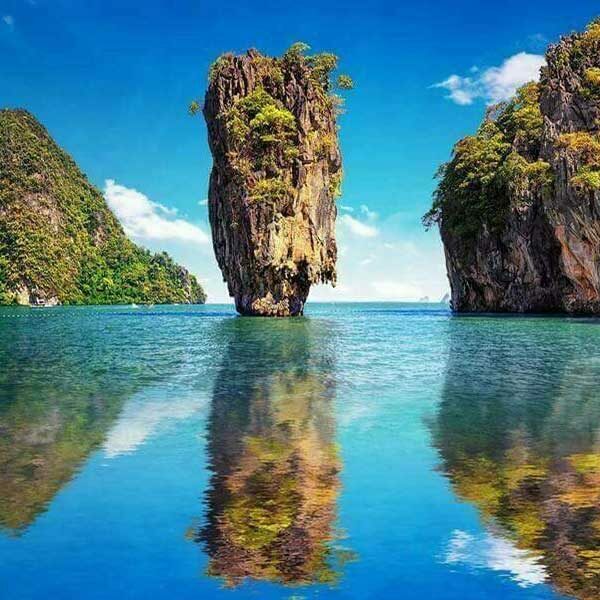 You still enjoy all the same locations the speed boat trips take you to like Hong Island where you will do some kayaking in the caves and surrounds, James Bond island as well. You have a really tasty lunch on board the boat followed by a relaxing swim and time on the beach at Naka island. 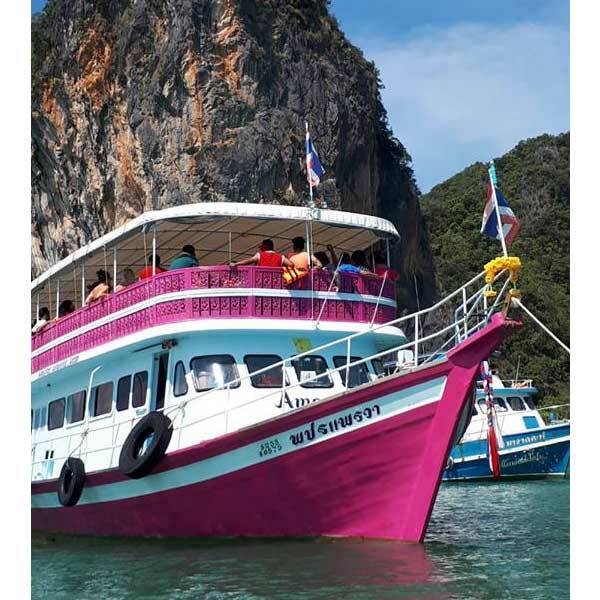 We have so many really nice boat trips to Phang Nga and all offer different combinations of destinations to get to, if you get time please check out our James Bond Island big boat tour. 08.00 Pick up from your hotel by minivan and transfer to Ao Por Pier. 09.00 Departure time from Ao Por Pier to Phang nga Bay on cruiser boat. 09.30 Cruising paradise of Phang nga Bay. 10.00 Panak Island & Hong Island for Canoeing among the beautiful mangrove forest. 12.00 Have a great buffet Lunch on board and cruising to visit James Bond Island. 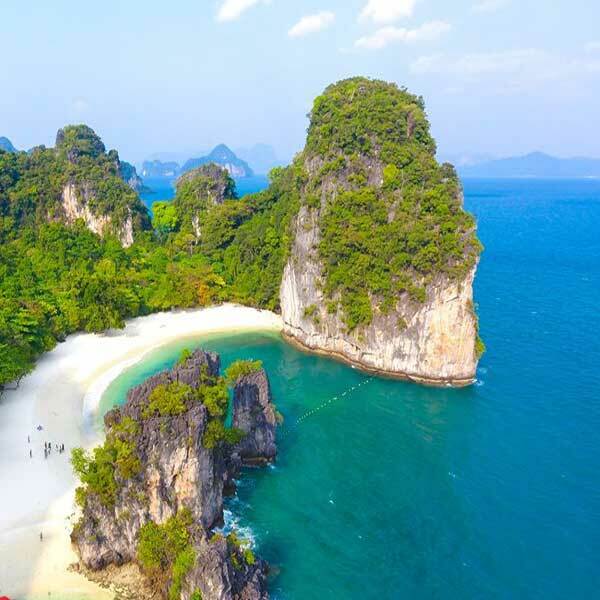 13.20 Hop down to the world famous James Bond Island & Khao Ping Kan.
14.30 Enjoy swimming and relaxing at Naka or Lawa Island. 15.30 Departure from Lawa Island back to Ao Por and on the way back enjoy and have fun with our staff dancing show. 16.30-17.00 Arrive to Ao Por Pier and transfer back to your hotel. Hong Lading Pakbia Daeng Krabi Island Tour. A very exciting day out on a speed boat visiting some of Krabi’s most treasured island destinations, snorkeling, swimming and exploring caves.